Several of us here have a soft spot for the strategy genre. Make it a fantasy one? And I am personally sold almost every time. Well, the upcoming Sorcerer King has been on my radar for a bit, and it will be out next week. Here we give you a look at the opening cinematic. 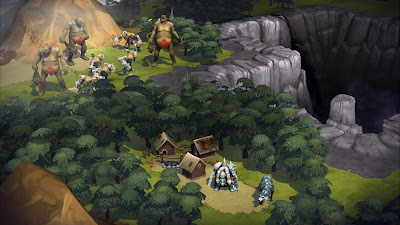 Sorcerer King is a different kind of 4X game from Stardock, one of the longest-tenured independent studios in the video game industry. There are no evenly matched rivals to race against here; the game itself is out to get you. The evil Sorcerer King is slowly sucking the magic from the world and its inhabitants to fuel his ascension to godhood. You must carve out enough of a kingdom from the wreckage to assemble one last army of heroes and soldiers to storm his dark stronghold in a final deadly challenge to his absolute authority. His evil empire will crush you like a bug if you look like too much of a threat, though, so making your move too early will only doom the world’s last hope for survival.